Germany's minister of state for Europe expressed concern on Thursday (15 February) over draft legislation - known as the 'Stop Soros bills - put forward by the Hungarian government, warning that it could make NGOs' work with migrants "impossible". 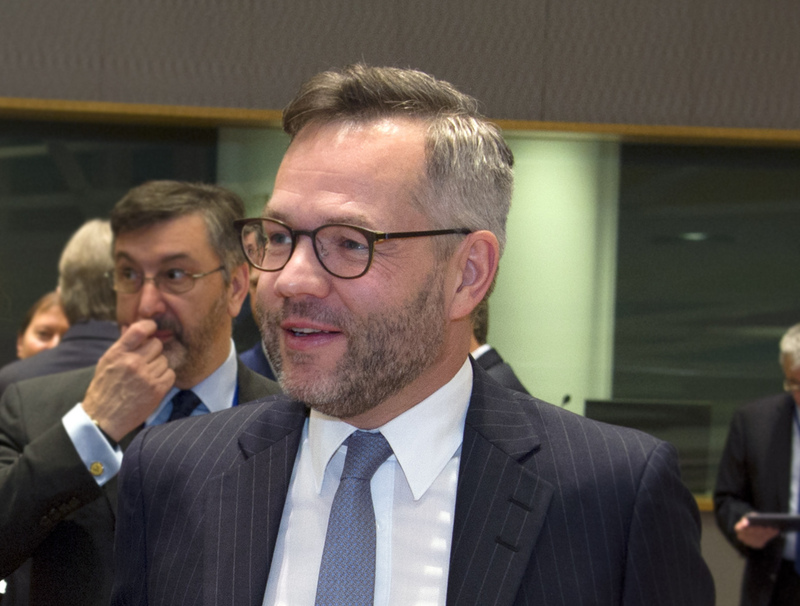 Michael Roth said in a statement that he had "clearly expressed our concerns" to the government of prime minister Viktor Orban. "A common European Union commits us to respect and protect all four fundamental freedoms beyond borders. Only with a vibrant and critical civil society can we maintain our common Europe of values," Roth said. 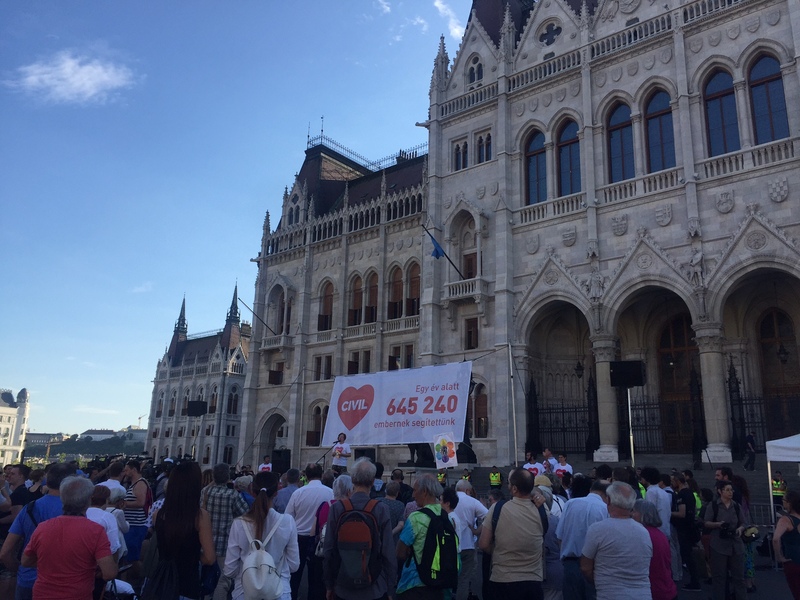 He added that "the bills submitted by the Hungarian Government in parliament make the work of civil society organizations that look after refugees or asylum seekers difficult or even impossible." 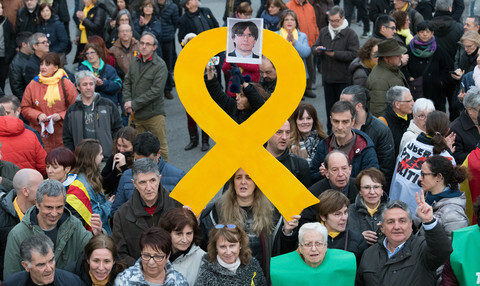 The proposed series of measures would oblige organisations that "sponsor, organise or otherwise support" migration to be approved by the interior minister. It also imposes a 25 percent tax on foreign donations to these NGOs. The bills would restrict the movement of Hungarian citizens, who are suspected to be supporting migration, by preventing them from approaching the EU's external borders in Hungary. 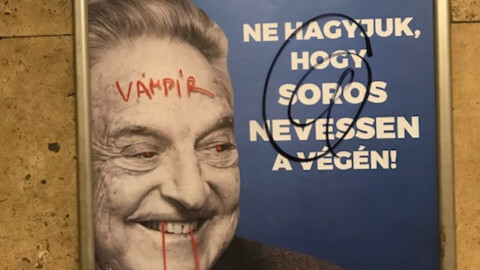 The package is a part of an anti-immigration drive by the Hungarian government that also targets US financier and philanthropist George Soros, whose foundation, Open Society, has been promoting human rights and has funded NGOs working with migrants. The human rights commissioner at the Strasbourg-based Council of Europe, Nils Muiznieks, also expressed concern on Thursday. While admitting that he had not seen the final version of the proposed package, the commissioner said it could "aggravate the situation of freedom of association in Hungary even further". "The proposed package of laws introduces administrative and financial burdens that constitute restrictions on freedom of association which cannot be regarded as necessary in a democratic society, and are therefore at variance with international human rights standards," Muiznieks said in a statement. 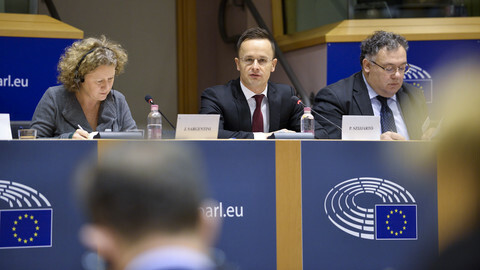 He also raised concern over the "escalating rhetoric used by the Hungarian government to portray NGOs and immigrants as a threat to national security". Muiznieks' comments were dismissed by officials from Orban's party, Fidesz, which is expected to win a third consecutive election on 8 April. 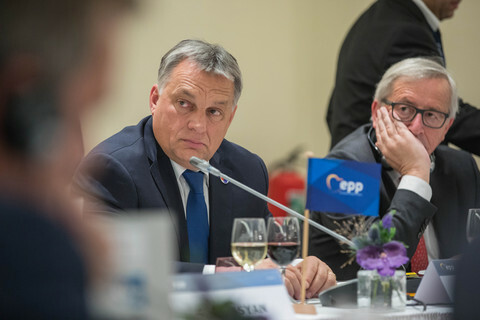 "Nils Muiznieks, a man of George Soros, has attacked the Stop Soros package, because the legislation would be able to stop migration," Janos Halasz, Fidesz's parliamentary spokesman was quoted by the MTI news wire. Halasz claimed that Soros wants to bring millions of migrants from Africa and the Middle East to Europe and Hungary. The Fidesz parliamentary group leader Gergely Gulyas said Thursday that Hungarian MPs could start debating the proposed measures next week, but the vote will only take place after April's elections. The European Commission did not want to comment on the proposed bills until it had analysed them. The Hungarian prime minister is mobilising his voters ahead of general elections next spring with an anti-Soros 'national consultation' that officially ends this week. 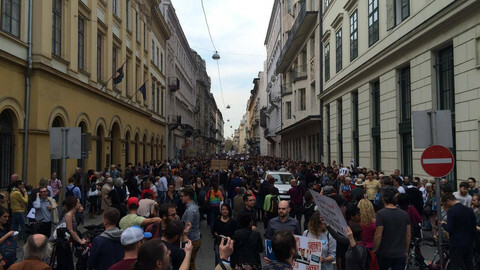 Thousands gathered around the Central European University on Tuesday to protest against a legislative bill that targets it, while the US embassy and the German president expressed their support for the institution. 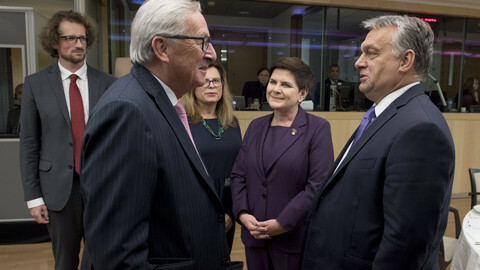 The EU executive steps up several probes over Hungary's illiberal tendencies, while it is also suing Poland and the Czech Republic over migrant quotas. 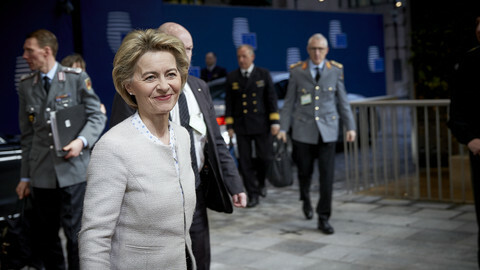 Germany interested in "moving towards a majority vote in [EU] diplomacy and foreign affairs", defence minister Von der Leyen said in London. The Orban regime in Hungary is continuing the same, destructive, campaigns undermining the legitimacy of EU institutions - while at the same time it is one of the largest beneficiaries of EU funding.